This first major monograph of Los Angeles-based artist Judy Fiskin includes reproductions of nearly three hundred images taken from 1973 to 1995. Since Fiskin turned to video in the late 1990s, this compendium represents her complete photographic oeuvre, including many images never before published. 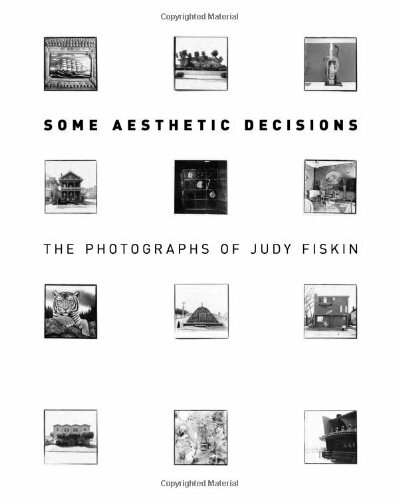 Distinctive in both subject matter and form, Fiskin’s photographs showcase the less-noticed aspects of the built environment, from vernacular and military architecture to period furniture and flower-arranging competitions. Her images are printed in small scale in black and white with black borders and set within a field of white photographic paper, thus becoming objects in and of themselves as well as windows into an earlier time and place. The text includes an introductory essay and an illuminating 1988 interview by the artist John Divola, as well as a chronology and bibliography. The book is published in conjunction with In Focus: Los Angeles, 1945–1980, an exhibition of the J. Paul Getty Museum’s holdings of photographs made in Southern California, on view at the Getty Center from December 20, 2011, to May 6, 2012, as part of Pacific Standard Time.